Looking for a Used A4 in your area? 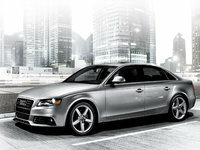 CarGurus has 10,465 nationwide A4 listings starting at $899. According to those prescient souls among us, Audi is about to take the proverbial bull by the horns and give its 2015 A4 lineup a needed and fairly comprehensive refresh. Just exactly what that entails, however, won’t be confirmed for awhile yet. For now, this midsize, 5-seat, entry-level luxury sedan remains burdened with a somewhat dated albeit attractive profile and an essentially ho-hum interior that nevertheless comes off as functional and undeniably posh. Futuristically speaking, rumored updates to this perennial niche leader are to include Audi’s brand new B9 platform, which is touted to raise this family-oriented 4-door’s stance a few inches into an all-but-Allroad-esque configuration. Additionally, spy photos are claimed to illustrate some exterior tweaks that include larger rear wheel wells, a rear deck-lid spoiler and wider taillights. Also among the whispered improvements come hints of a plug-in hybrid trim for next year’s A4 that will allegedly put out 306 combined hp, and there is the possibility of an improved version of the current 220-hp turbocharged inline 4-cylinder (I4) engine offering. Additionally, word of a 1.5-liter blown I4 offering cylinder deactivation technology (where 2 of the 4 cylinders get shut down at highway speeds) has also leaked from behind closed doors over at Audi-land. It remains to be seen whether or not the present hefty cabin room and that relatively unimpressive 12.4 cubic feet of trunk space will return, with the bad news being a significant drop in the already cramped trunk should a battery-pack-toting hybrid version actually materialize. In any case, should the above changes actually come to pass in this most popular of Audi sedan offerings, they’ll undoubtedly occur in conjunction with those adornments that presently encompass the base Premium trim, the midlevel Premium Plus and the flagship Prestige edition. Of course the 2015 A4 stable is expected to return bearing standard front-wheel drive (FWD), while full-time all-wheel-drive (AWD) versions, known collectively as Quattro trims in Audi-land, should be offered once again. As is traditional, Quattro variants are expected to remain in rear-wheel-biased 40:60 configurations until called on to divert power from the wheels that slip to the wheels that grip. At present, meantime, the standard turbocharged I4 mates with a continuously variable transmission (CVT) in FWD garb to throw down 258 lb-ft of torque, while Quattro versions can be delivered with either a 6-speed manual transmission or an 8-speed shiftable automatic transmission. Should the rumored changes to engine offerings come to pass, current mileage estimates of 24 mpg city/32 highway in FWD versions, 22/32 in stick-shift Quattro iterations and 20/29 in automatic-toting Quattro versions will doubtless become moot. Look for any fiddling and diddling that may accompany the next-gen A4 lineup to bolster such trim-specific bling as 17- and 18-inch alloy wheels, a power sunroof, leather upholstery, power-adjustable front seats and full power accessories. Also expected back for 2015 A4 iterations are standard cruise control and telescoping tilt-wheel steering, as well as a remote garage door opener and dual-zone climate control. Higher trims should return, meantime, bearing tri-zone climate control, auto-dimming outside mirrors, memory for driver's settings and heated front seats, with the top-shelf Prestige once again sporting front and rear parking sensors, a rear-view camera and voice-activated navigation with MMI. Standard entertainment in the lower trims is expected to remain a 180-watt system boasting a single-CD player, 7 speakers, satellite radio and a memory-card slot, while the Prestige ought to reprise the standard setup featuring 14 Bang & Olufsen premium speakers. Options will doubtless be shuffled and upgraded for 2015, though the Sport package, with a sport-tuned suspension and sport front seats, is expected to return, as is the Audi Exclusive Line Interior package with its upgraded and unique leather upholstery and an even plusher interior. Barring any significant changes to standard safety equipment, look for the 2015 A4 to again tote antilock brakes (ABS), front and rear side-mounted and head airbags, LED running lights, front fog/driving lights and turn-signal-integrated mirrors. Pre- and post-collision safety systems should also remain standard lineup-wide, as should a remote antitheft alarm, while the Prestige is expected to return with adaptive headlights and blind-spot alerts. Have Laptop. Will Travel. I'm retired and travelling the country in a 34' motor home. I'm really digging meeting people . . and sometimes their cars . . . getting a sense of what makes this nation tick. The plan is to visit all the national parks in the continental US, then cruise to Alaska to visit Denali, and to Hawaii to check out Haleakala and the Hawaii Volcano's national parks. Anyhow, when I'm not horsing the motor home around the roadways, I'm tooting around in the 2012 Ford Focus that we tow behind, or making runs to Home Depot and various malls with the 2004 F-150 that just won't die. 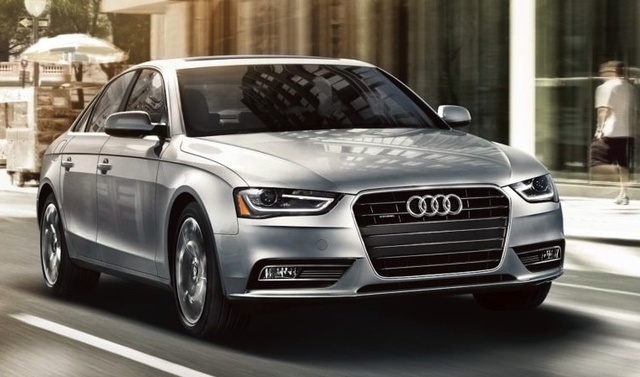 What's your take on the 2015 Audi A4? 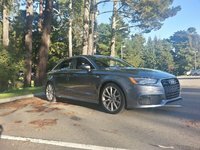 Users ranked 2015 Audi A4 against other cars which they drove/owned. Each ranking was based on 9 categories. Here is the summary of top rankings. 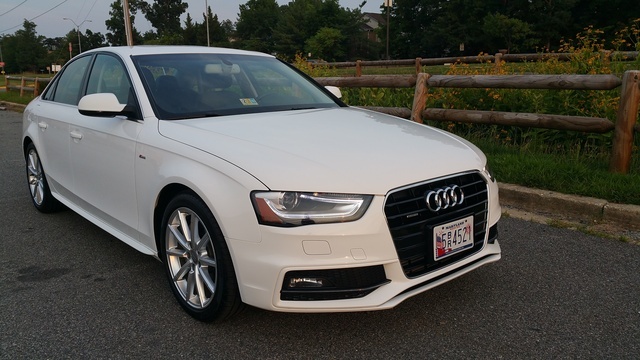 Have you driven a 2015 Audi A4? Oil pressure warning alarm goes off after an extended drive. Oil is fresh and full. I have a 2015 Audi A4 and I've put shell 93 premium gas in it does it matter if I put shell in or can I use other gas stations?